We're in the midst of Instructor Specialty Training. Having just completed the boat dives of the current Instructor Specialty training, we're going to have a look at the beach today to complete the Underwater Navigation and Search & Recovery Specialties, with Night Diving to follow tomorrow. First things first though, Saturday and yesterday (Monday), we completed the boat dives. 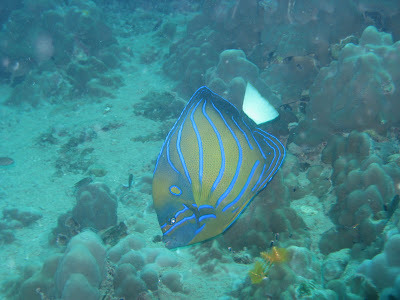 Two morning dives at Chumpon Pinnacles for the Deep Dive Specialty, which were just stunning. 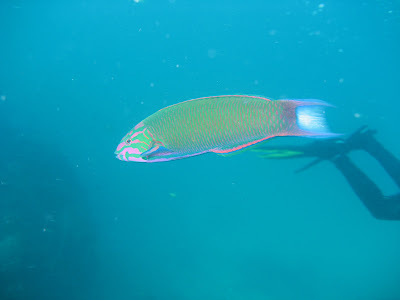 Saturday we had great visibility up to 20 meters depth, which had fish everywhere including a massive school of big barracuda's hanging in the current. Below 20 meters was a thermocline, where the visibility went down and the temperature dropped. 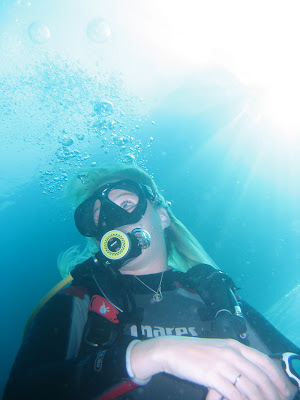 We went down to 29 meters and I almost descended on top of a shark, without noticing it, I was told after the dive! During the safety stop at 5 meters we saw another shark cruising around, either a blacktip or young bull sharks, the two types of shark that prevail at this dive site, although it looked like a blacktip. Yesterday it turned out to be even better. The thermocline had dropped to 32 meters and upon descending, we saw a blacktip cruising the bottom in an 8 shaped pattern. Upon closing in, we saw a dead fish in the bottom which the shark tried to scoop up. Just upon our touchdown, the shark managed to scoop up the fish and he took off chewing the fish just in front of us, a very unusual sight and we were all excited having witnessed this. Another blacktip came around to see if there were any spills left for him. We were planning to go to around 35 meters and upon cruising down to that depth, a third blacktip came nosing around into our path down, which was very exciting. Upon ascent, we saw one of the biggest great barracuda's I've ever seen up to date. At around 22 meters he was in a big crack of the rock being cleaned by some cleaner fish and he seemed to be at least a meter long and had the biggest (beer) belly I've ever seen on a barracuda, he was just massive. 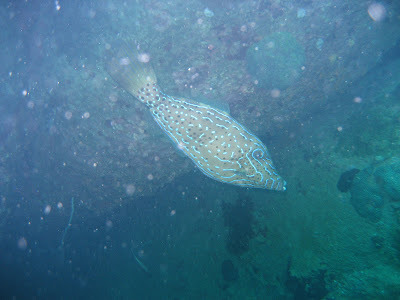 During both dives there were plenty of other fish around, it was like swimming in fish soup. 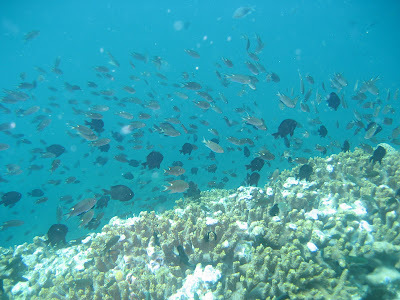 Highlights were big schools of bat fish, numbering up to 30 or more bat fish. Sophia caught in a nice pose.